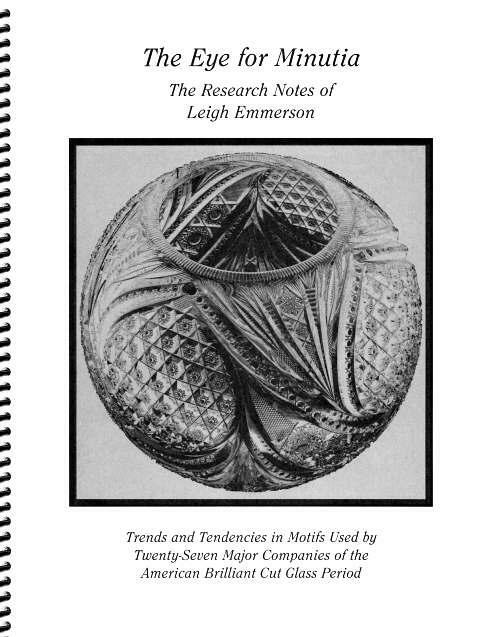 This book has been published in tribute to Leigh Emmerson by his family and is now available to members and non-members of the American Cut Glass Association. For additional information on “Eye For Minutia,” please click on Leigh Emmerson Book in the “Articles & Opinions” drop-down menu. The $35.00 cost includes shipping via media mail.